Good Morning Beauties! 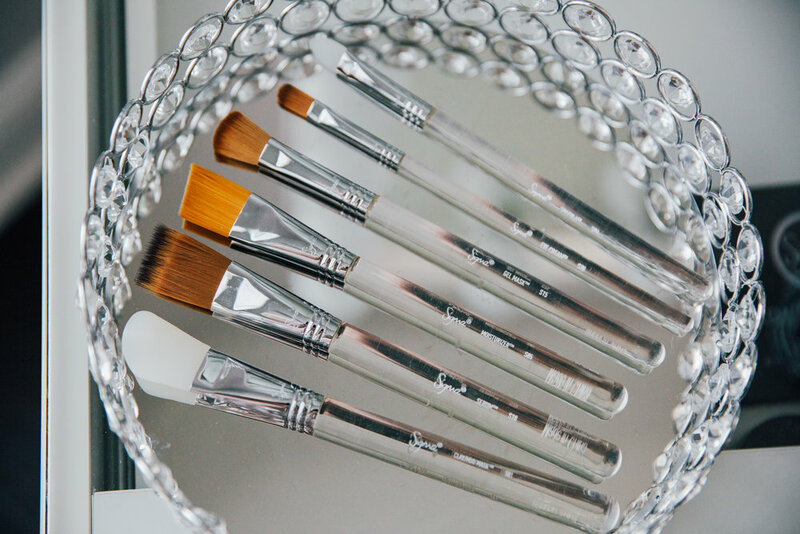 I got such an amazing package the other day when I got these brushes from Sigma Beauty! I am sure you already know how much I love Sigma Beauty especially their brushes and dry tower! When I saw they were releasing skincare brushes I just knew I had to have them. Knowing their quality and how amazing their brushes are I knew these would make it feel similar to a spa like experience. This post is going to be a full review on these brushes, which ones are my absolute fav, and if they are worth the money. So let's get started on this review! 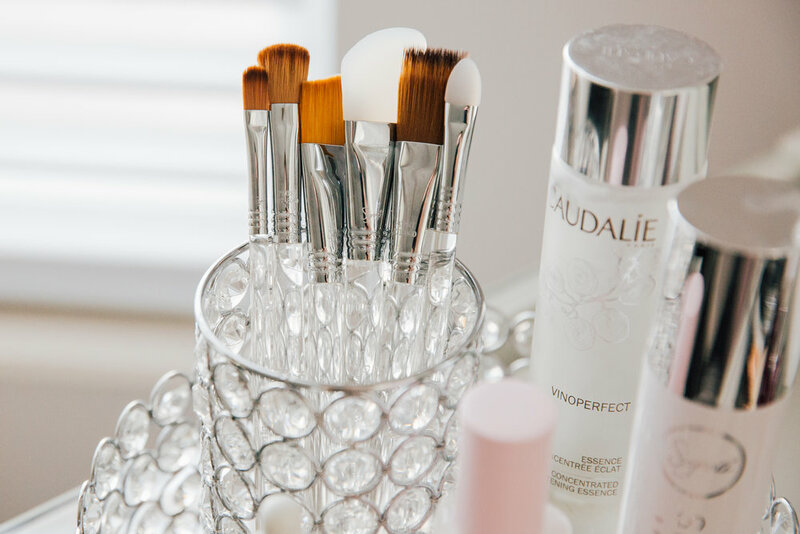 If you are a skincare lover these brushes are a must have! For $55 the set of six they are a steal! The description on www.sigmabeauty.com website states "Each unique tool is designed to get the most of your favorite products and improve your results. These brushes won’t absorb and waste your skincare formulas like fingers and hands do during application. Also, these brushes were designed to apply products softly and with precision to avoid causing damage by tugging or pulling at the skin. Enjoy beautiful skin and a perfect base for makeup." Reading this description I was sold since I refuse to cause more tugging on my skin when applying products with my hands. Helps to avoid product absorption when using my hands and then I have to apply more product which makes me waste more than I need. These brushes also are waterproof, antimicrobial, cruelty free and formulated without: Latex, BPA, Lead. As you can see below these are the six brushes that come in the set. Each are numbered and have the description available to know which brush is used for what on the clear handle. Starting from left to right are the descriptions for each brush. It is recommended to wash the brushes after every use using their SigMagic Shampoo. I thought that was going to be a pain but it wasn't at all. These brushes are amazing and dry up within 15 minutes which is awesome for using twice a day. 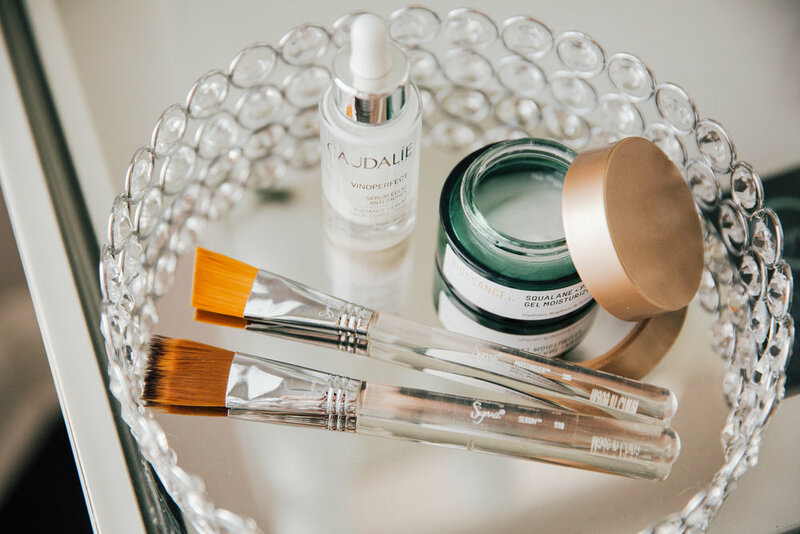 My absolute favorite brushes from this collection are the clay mask brush, moisturizer brush and the eye cream brush. Those were my absolute favs!!! But they are all amazing. Highly recommend these brushes if you want to an amazing spa like experience with your skincare. If you get them let me know what your thoughts are!